EVERYBODY in Nigeria keeps complaining of the fall in standard of education, people always make references to the way standard of education was in those days. I believe that falling standard in education in Nigeria can be linked to the lost of glories of traditional education which inculcates among other things the very important values of hard work, integrity and high productivity. When these are lacking in any production system, education inclusive, the results are often devastating. The teacher stands out as one of the most important factors determining the quality of education and its contributions to national development. At every level people who go to school look on the teacher for the acquisition of the necessary skills to enable them become what they want to be. Thus, students often look on the personal qualities, their educational qualities and professional competence which are rewarding to the learners. It is on this note that the role of educational administrators in assisting teachers to help students achieve the objective of instructions in their various fields of endeavour stands paramount and a challenge in the 21st century. How should the teacher present himself in order to get his message across? How can he communicate effectively in the class? Under what kind of environment can the message get across? What pedagogical approaches are effective? These among other questions should not only be of interest to students and teachers but also to school administrators. In fact, the Nigerian teacher education in the 21st century should produce knowledgeable programme and effective teachers who can inspire children to learn. These objectives are to be obtained with the efforts of the educational administration that is saddled with responsibilities of managing the human, financial and material resources of the school. As a child growing up in the 70s, we had well functioning grammar schools and teacher training colleges. Candidates could proudly choose to attend teacher training college. I have an aunty who chose to attend a teacher training college and was very proud of it. I remembered those teaching practice materials she brought for me when she was through with her teaching practice exercise, football, skipping rope, hand ball etc and I was also looking forward then to attending one. Taking a look at education in Nigeria today, one can hardly find a teachers’ teaching college where teachers are supposed to be trained. Most parents of this generation in Nigeria will not allow their children to attend a teachers’ training college. What we have now are conventional secondary schools that prepare children for other fields. The question now is where are our teachers supposed to be trained? Like before, students who graduate from primary schools should have the option to either go the teacher training track or the secondary school track. Those that pick up teaching jobs in our primary and secondary schools today (especially private schools) are graduates that cannot find jobs of their choice. They accept teaching offer out of desperation and frustration. They don’t have the prerequisite knowledge of teaching. Being a graduate of economics does not make you a good teacher of the subject if you are not a trained teacher. Teaching is beyond cramming and coming to class to bamboozle the pupils. I have never been impressed by private primary schools bragging about having bachelor’s degree holders on their teaching staff. I would rather send my child to a school taught by graduates of teacher- training colleges than to a school taught by bachelor’s or master’s degree holders who have no intellectual preparation to teach little children. I would be impressed only if I knew that such teachers had a Grade II certificate before acquiring advanced qualifications. In conclusion, teacher training colleges in Nigeria are designed to train people to specifically teach in primary schools. Judging by my recollections of the quality of people who taught me in the first six years of my educational career, Nigeria teacher-training colleges had high standards. The teachers understood child psychology. The best option is to bring back teacher-training colleges. 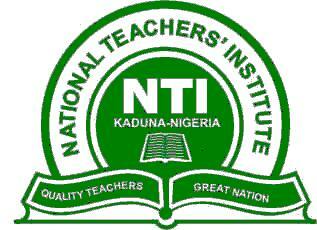 I am aware that National Teachers’ Institute still trains primary school teachers by distance learning. But this is not enough. • Shadrach wrote from Lagos.